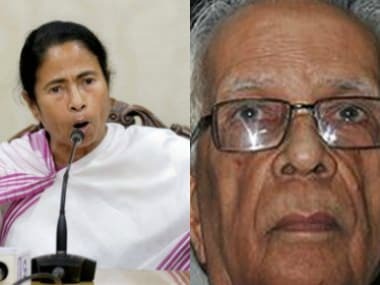 Kolkata: The public spat between chief minister Mamata Banerjee and Governor KN Tripathi on Wednesday degenerated into a bitter fight, with the Trinamool Congress (TMC) accusing the governor of crossing the constitutional line and reminding him that the "Raj Bhavan cannot be the BJP's office", drawing a sharp reaction from Tripathi. The governor hit back saying it would be better if the chief minister and her colleagues worked for maintaining law and order instead of accusing him. Tripathi also remarked, "It is wrong to say that the Raj Bhavan has become the office of the BJP or the RSS." 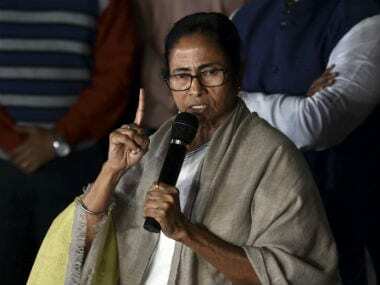 The unprecedented face-off between the chief minister and the governor came about as communal clashes broke out in West Bengal's North 24-Parganas district on the night of 4 July following an "objectionable" Facebook post. Senior TMC leader and minister Subrata Mukherjee even described Tripathi as "BJP's parrot". Speaking to reporters, TMC secretary-general Partha Chatterjee charged, "The governor has crossed the constitutional line. The way he spoke to the chief minister on Tuesday, he has forgotten that it is not Uttar Pradesh." Chatterjee also said that the official residence of the governor cannot be the party office of the BJP. "He is the ex-speaker of the (Uttar Pradesh) Assembly. As a lawyer, he must be aware of the observation of the Supreme Court (on the relation) between the chief minister and the governor...So whatever he has said is an insult to the people of West Bengal," he charged. Chatterjee said that the party has written to President Pranab Mukherjee, stating that "this is unbecoming of a governor". Referring to the governor's statement yesterday asking how confidential talks came out in the open, Chatterjee said, "You (Tripathi) telephoned the chief minister only after a team of BJP leaders met you at the Raj Bhavan." Alleging that the governor had asked the chief minister to manage her party, he remarked, "This is unprecedented. How can he ask her to manage her party members? Has he become the BJP spokesperson? He is the constitutional head." 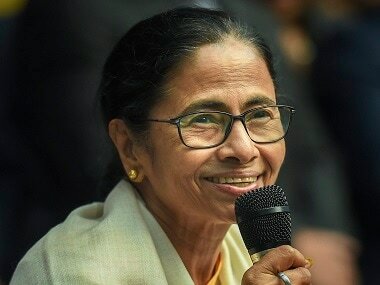 Dismissing Banerjee's allegations that he humiliated and insulted her, a statement issued by the Raj Bhavan quoting the governor said that the charges were "baseless and meant only to emotionally blackmail the people of the state". It said that the allegations of the chief minister amounted to "insulting and humiliating the governor and his office". Tripathi said that the Raj Bhavan was not a department of the state government and was open to every citizen for redressal of his or her grievances. It said that the "Raj Bhavan is not expected to tear off or throw in the wastepaper basket the representations received by the governor or his office from any person". "Whenever any such representation is received from anyone, the same is forwarded to the state government for appropriate action," it said. Taking exception to the TMC secretary-general's statement that he was crossing his constitutional limits, Tripathi said it was an attempt to cover up the lapses of the state government and divert attention from the main issue. On Banerjee's statement that a governor is a nominated person, Tripathi said, "True that the chief minister has been democratically elected by the people, but it should not be forgotten that the governor is also appointed by the president on the recommendation of a democratically elected Union government. 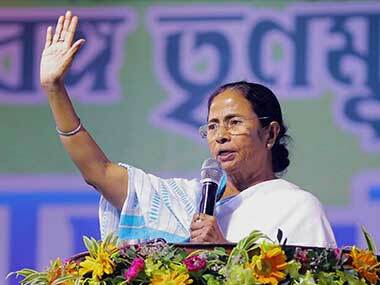 Mamata Banerjee on Tuesday accused Tripathi of threatening her and acting like a "BJP block president". The TMC supremo also said she even thought of quitting office over this "humiliation".